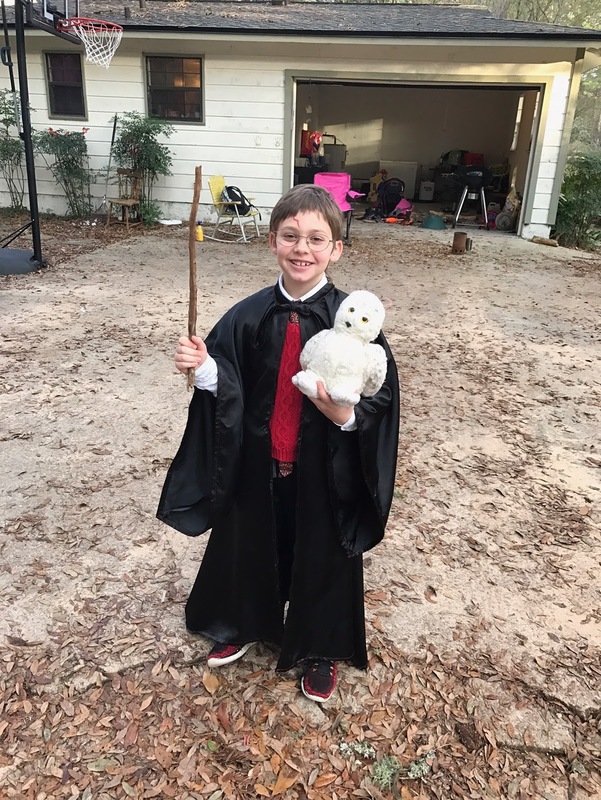 Our very own Harry Potter. Excellent! An owl and everything! The owl was actually already in the car! It's a favorite and beloved toy. He's such a beautiful boy. That smile. Oh my heart. Lily said that he kept saying, "I really do look like him!" Such joy. And beloved by his family. He is darling and that cape came out great! If you don't look at it too closely! Well, close enough. And it made him FEEL like Harry Potter and that was all that was needed.